Nothing hurts more than having to say goodbye to someone you once were close to, but sometimes, people become toxic. 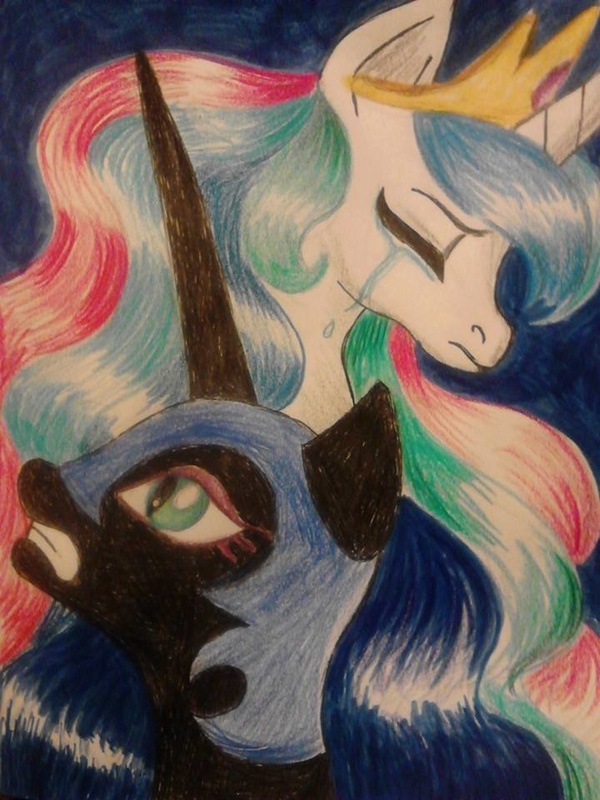 Princess Celestia and Nightmare Moon from My Little Pony Friendship is Magic. If only she hadn't liked bananas so much. Crap, I don't understand the context of that comment... lol I haven't seen anything about Luna/Nightmare Moon and bananas. Care to enlighten me? It is a reference to a classic animation that was made back in 2011 in which Princess Celestia banishes three ponies--Luna included--to the moon with a joke about bananas. Woooooowwww.... lol That was, uhhhh... interesting. Thanks.